Looking to use up that extra pumpkin? These Pumpkin Banana French Toast Sticks make a quick, healthy and balanced breakfast or snack for the whole family! Especially great for baby-led weaning or as a finger food for toddlers! One of the number one issues I have at this time of year is having little bits of pumpkin here and there to use up. Big problem, right? You definitely don’t want to waste that stuff! Oftentimes, recipes only call for a certain amount of pumpkin, which means that I’m ALWAYS left with extras. Sometimes I’ll just stare at that leftover pumpkin puree in the fridge for days until I get inspired to whip up something amazing (like this Curried Pumpkin Chicken Soup), other times it will sit there for so long that it isn’t even edible anymore. That’s a little embarrassing to admit, but it does happen from time to time. So this exact scenario happened several weeks ago when I was making up a batch of Pumpkin Breakfast Cookies. Suddenly, I was left with this extra pumpkin and needed to find a way to use it up. 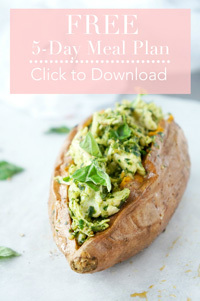 I was also looking for a way to switch up my little guy’s menu a bit and incorporate something beyond the sweet potato-themed recipes (which he LOVES). 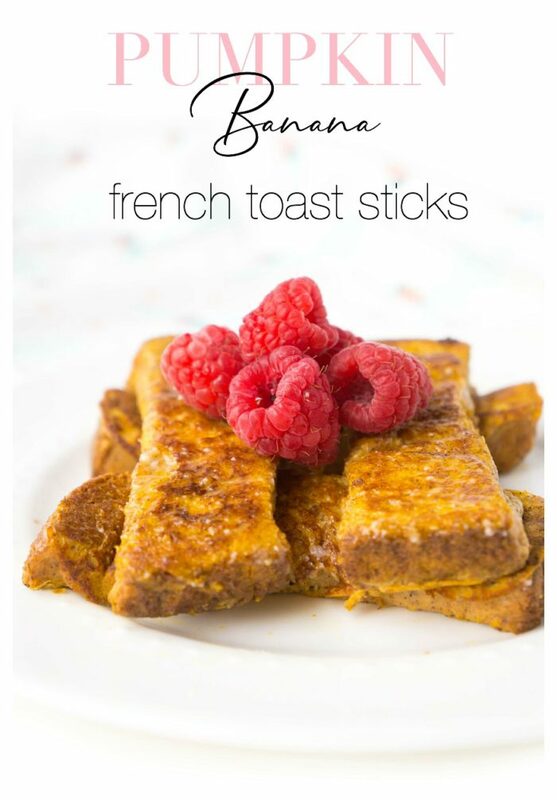 I was flipping through the Baby-Led Feeding Book that I had purchased at the start of our baby feeding adventure and came across a recipe for Pumpkin French Toast Sticks. I had heard of banana toast, but pumpkin toast?? THIS was something we HAD to try. So I decided to marry the two and combine the pumpkin and banana into delicious strips of French toast. 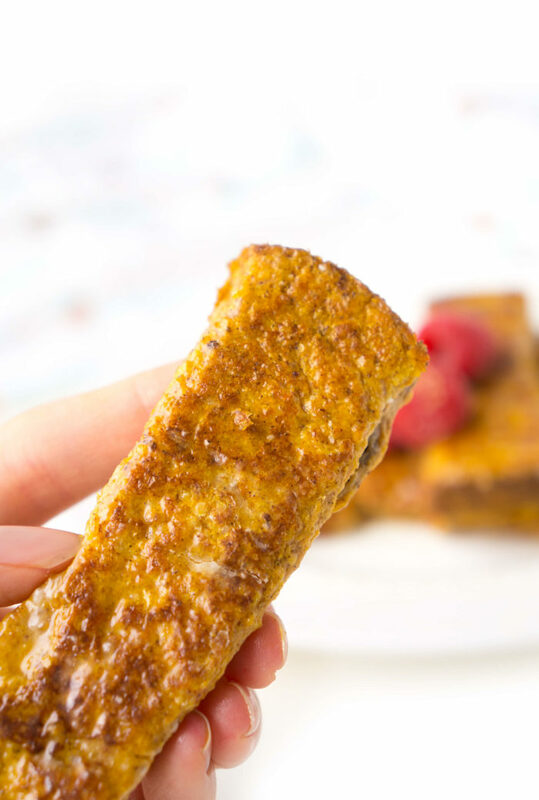 As soon as the idea dawned on me, I immediately got to work and started making these pumpkin banana french toast sticks, which was really no work at all because it only has six simple ingredients and took less than 10 minutes to prepare. Well, the end result turned out to be a big hit because my 10 month-old gobbled them up so fast I could barely keep up with him. I seriously need to teach that kid to pace himself! 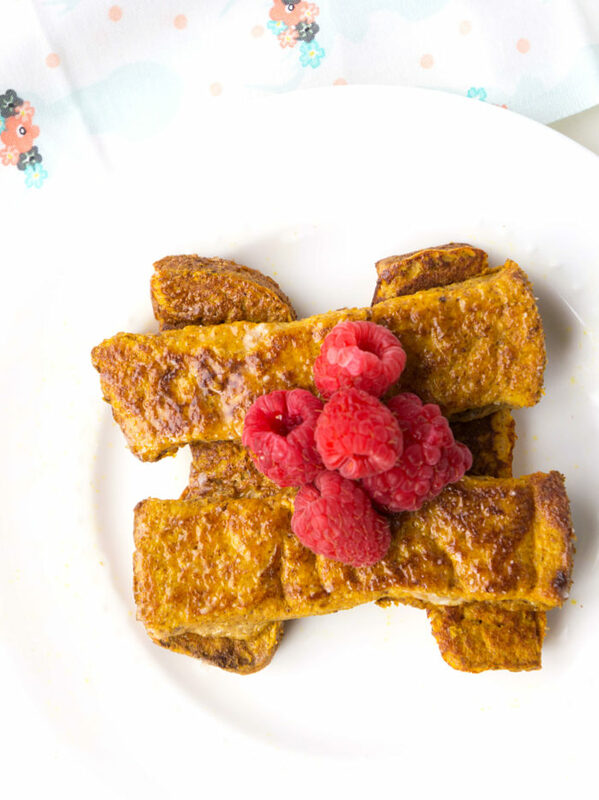 We love these Pumpkin Banana French Toast Sticks for so many reasons! They’re easy and healthy: How many recipes can you make in less than 10 minutes that contain protein, fibre, iron, potassium, vitamin A and vitamin C? Not many! I also recommend using a bread that’s lower in sodium such as Ezekial bread to limit the sodium overload that tends to be common with a lot of breads. They are perfect for little ones: By soaking the bread in the egg and pumpkin mixture, it helps to incorporate lots of moisture so it’s easy to chew and swallow. I recommend letting the bread sticks soak in the pumpkin mixture for a few minutes just to absorb as much moisture as possible before cooking. It makes them fluffier that way. Also, by making the French toast into sticks, it makes it really easy for little hands to hold. They’re also great for adults! 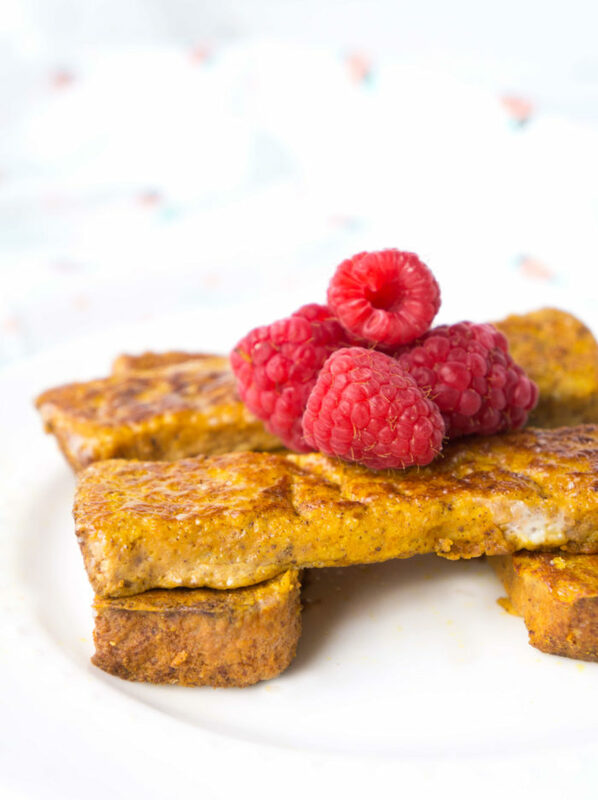 Who doesn’t love a good piece of French toast? Especially when there’s pumpkin AND banana involved! Although for babies and toddlers, I recommend passing on the maple syrup to avoid the extra added sugar, which they won’t even miss, for adults and older children, feel free to add a bit of maple syrup or even just stick to some fresh fruit to sweeten it up! 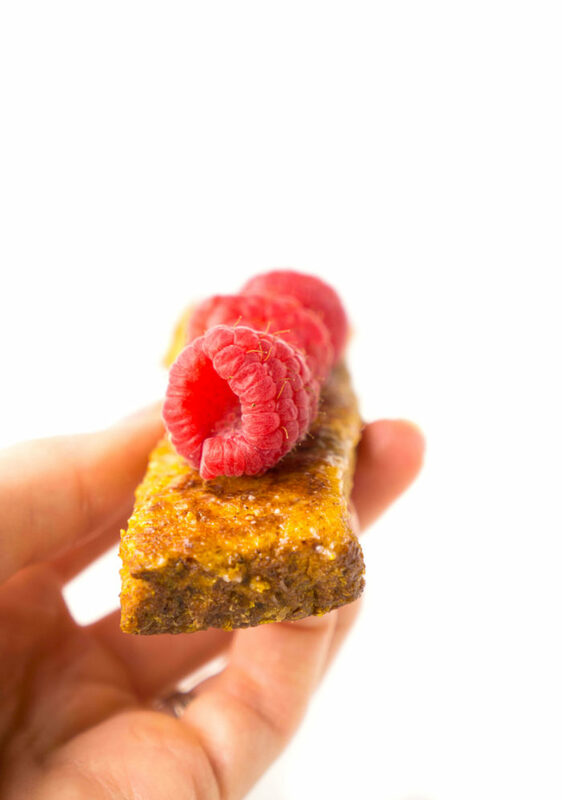 At the end of the day, whether big or small, these Pumpkin Banana French Toast Sticks make a great healthy recipe for the whole family to enjoy! In a large shallow bowl, mash the banana. Next mix in the egg, pumpkin puree, milk, and cinnamon. Cut the bread into strips. I got about 5 strips per slice of bread. Place the strips into the pumpkin mixture and allow to soak for a couple of minutes per side to absorb the moisture. In a large frying pan, heat the oil over medium heat and place the strips in the pan in a single layer. Cook for about 2-3 minutes per side or until slightly browned and golden. Flip and cook on the other side for another 2-3 minutes. Remove from pan and serve plain or with fresh fruit or maple syrup.